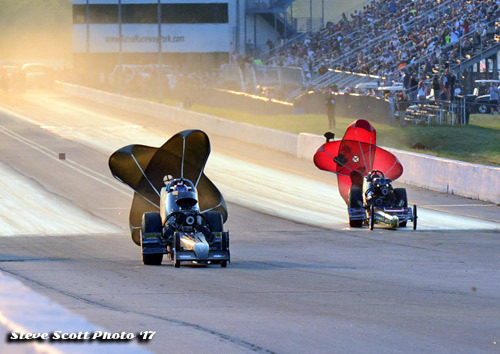 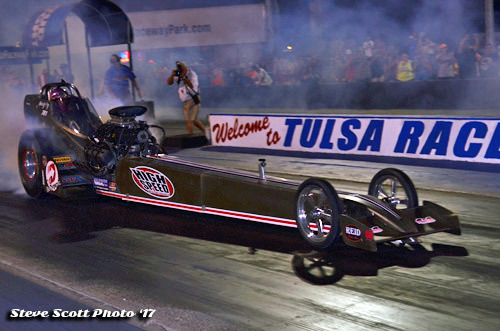 Headlining the inaugural Tulsa Nitro Nationals was a stellar Top Fuel field featuring some of the quickest and fastest fuelers in the world. 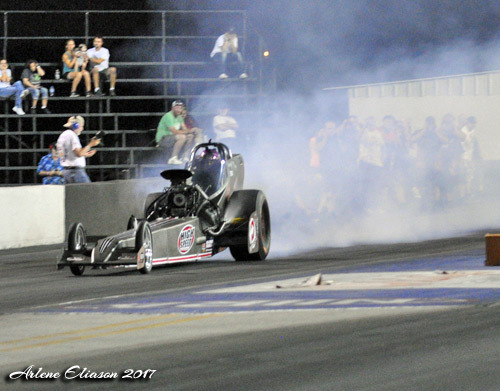 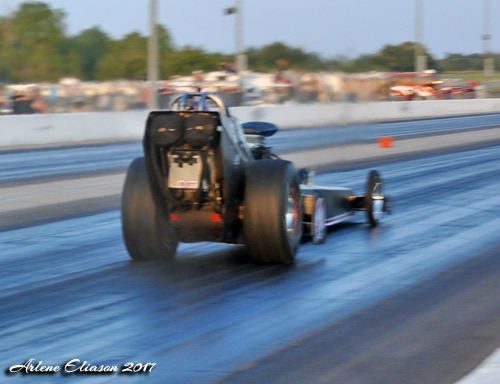 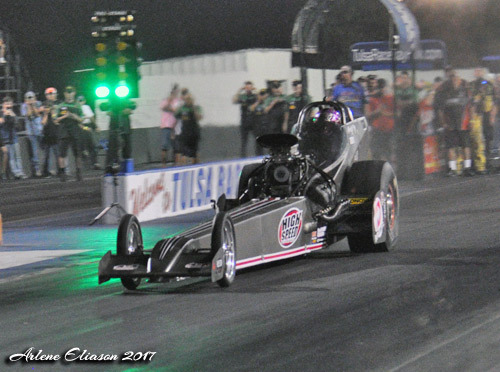 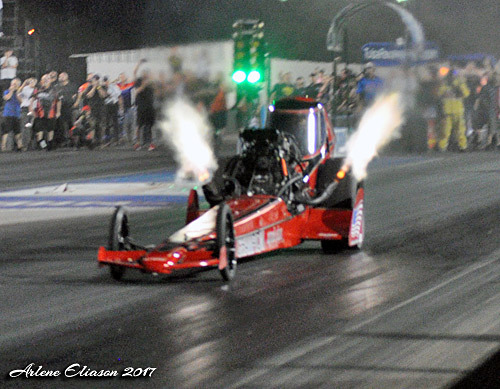 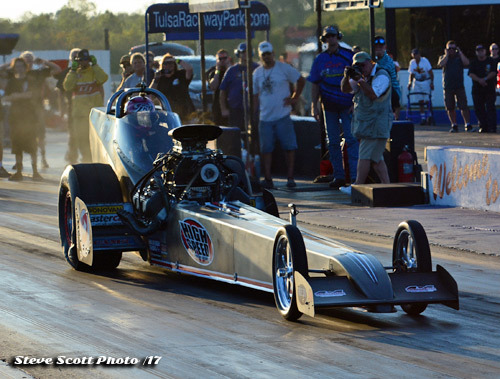 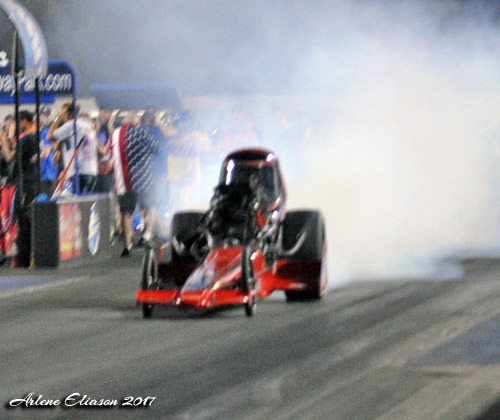 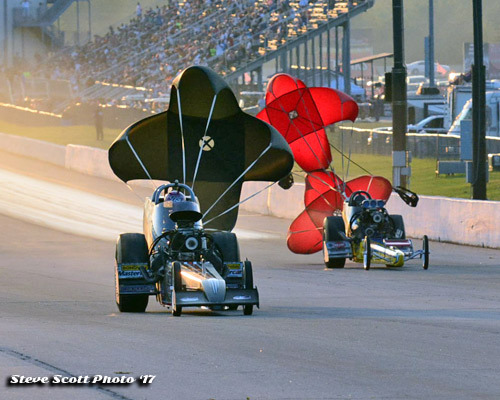 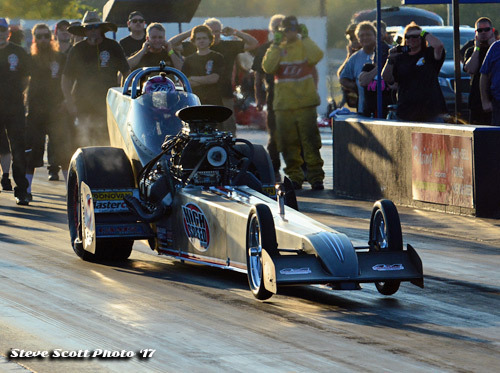 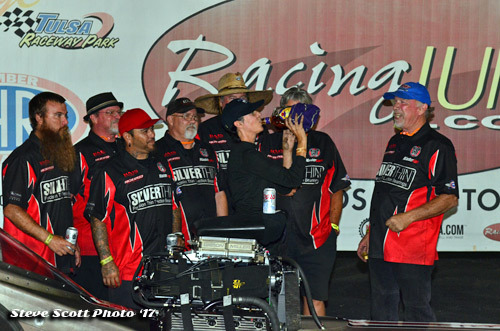 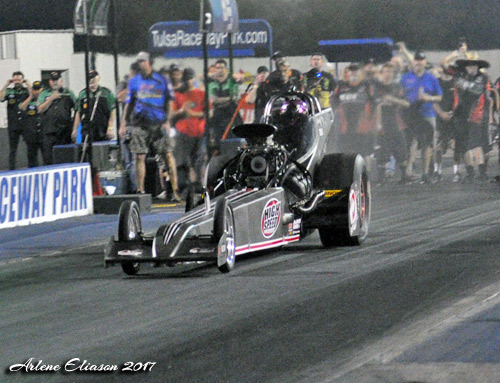 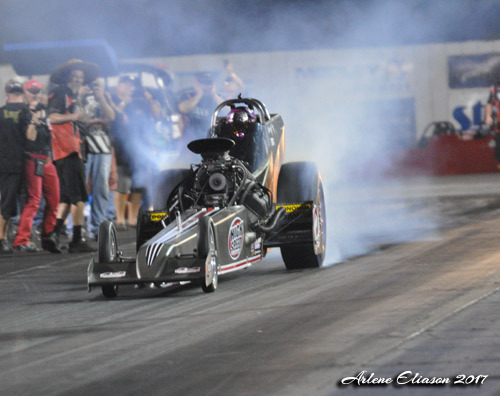 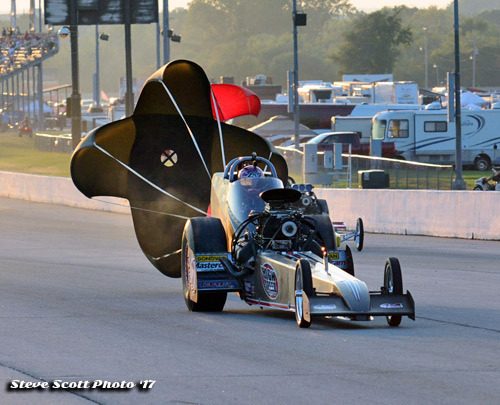 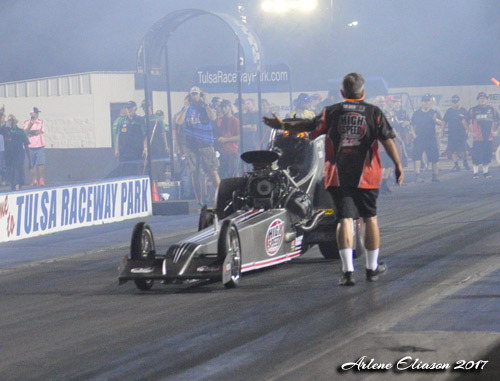 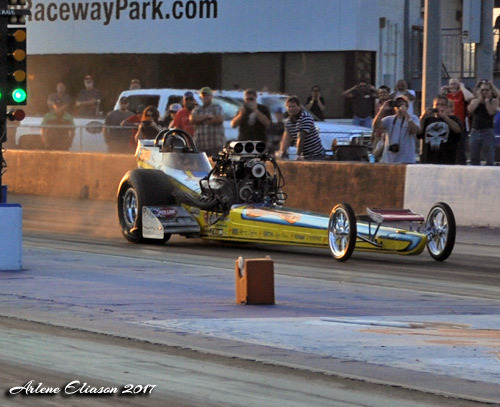 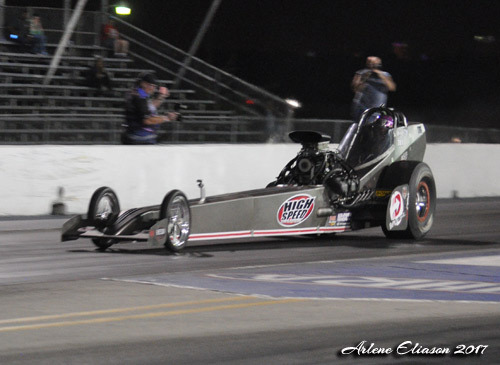 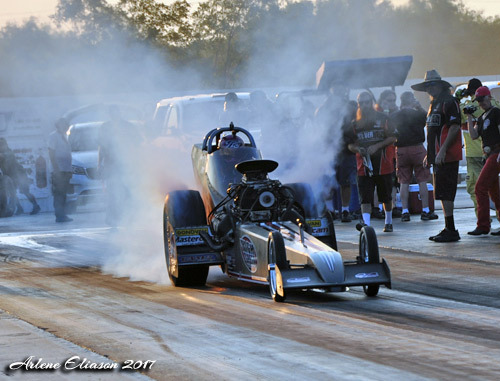 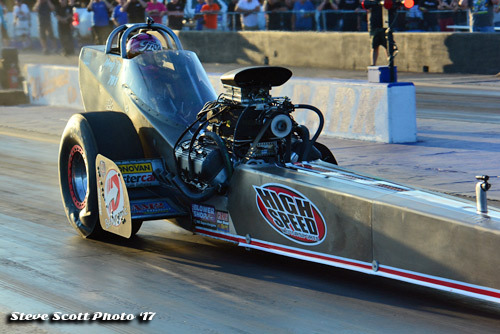 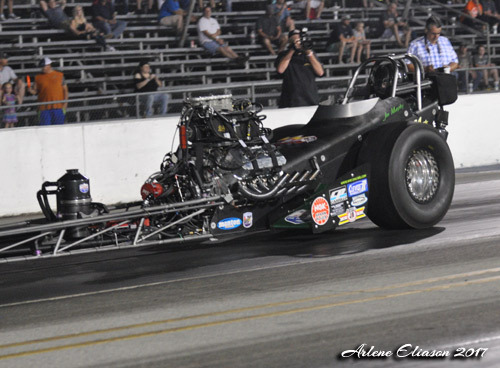 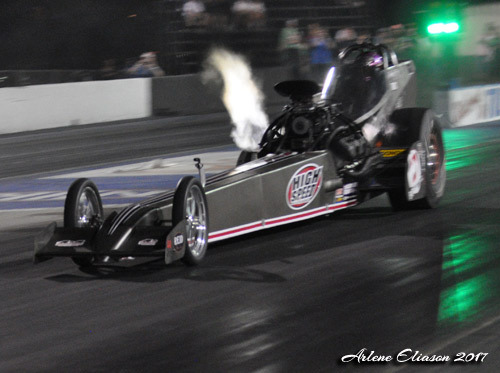 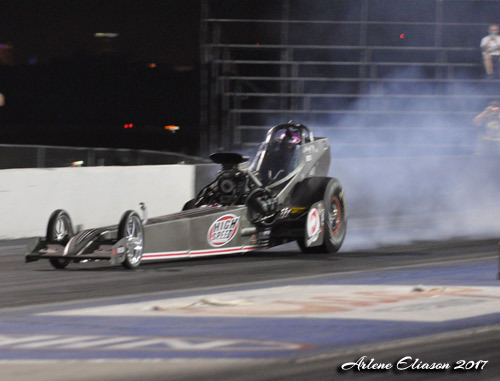 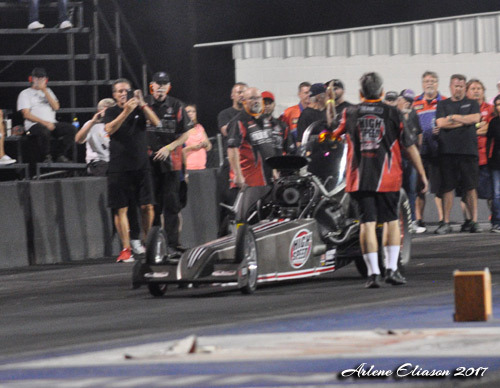 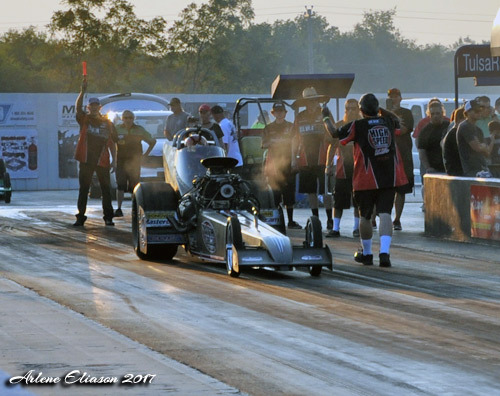 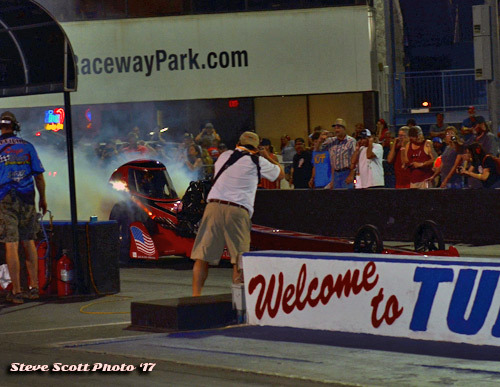 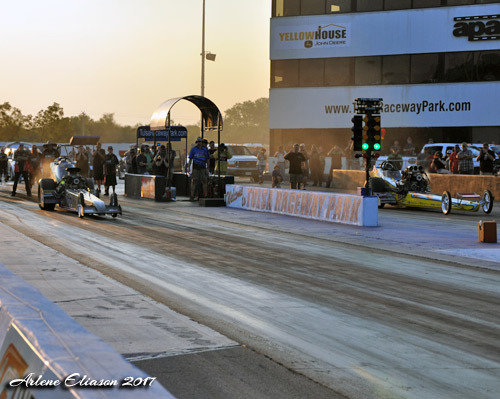 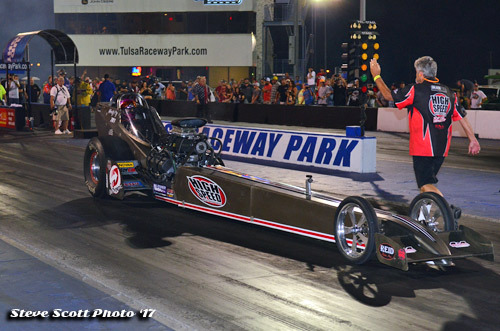 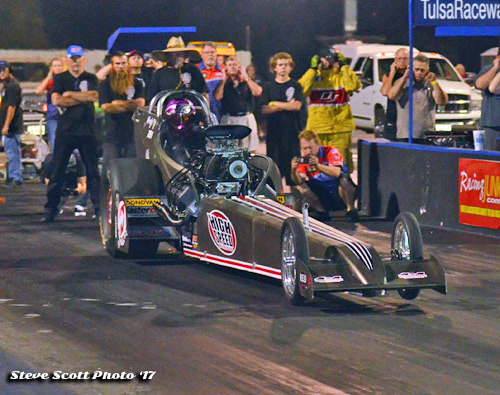 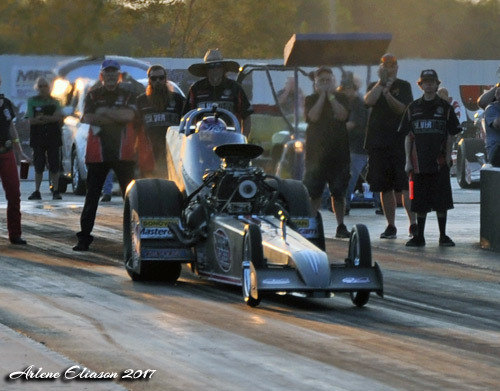 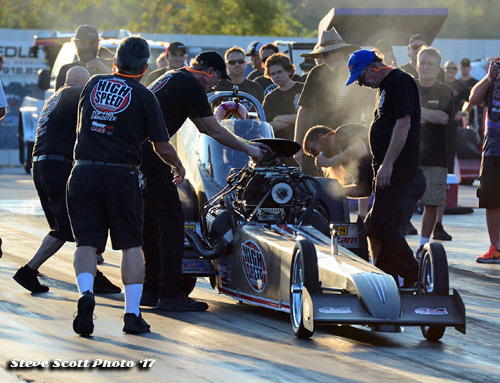 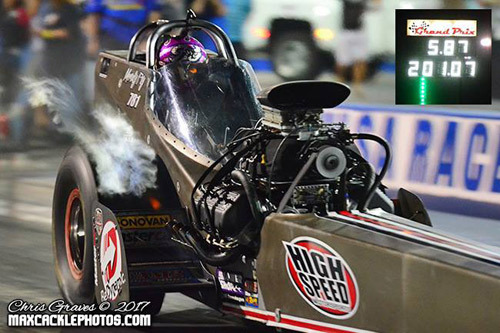 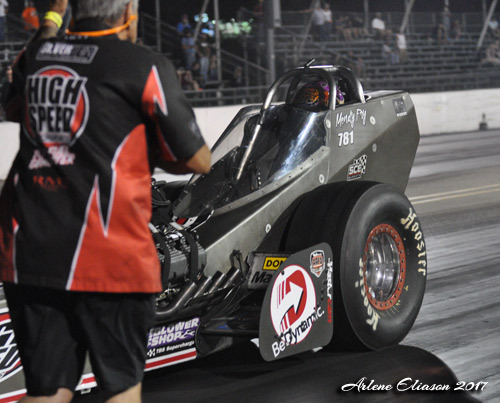 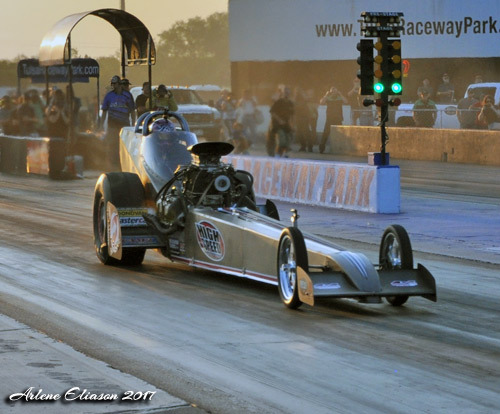 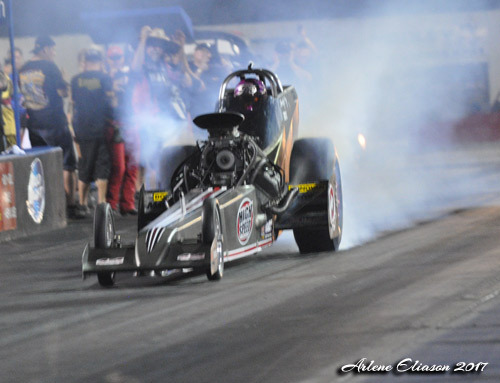 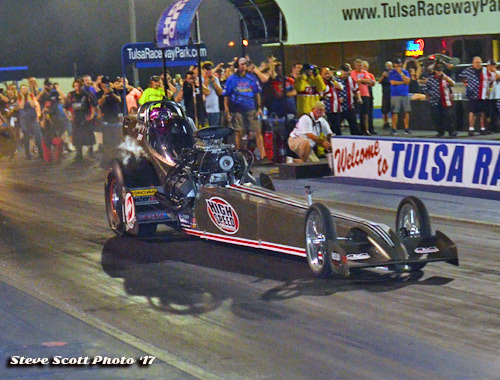 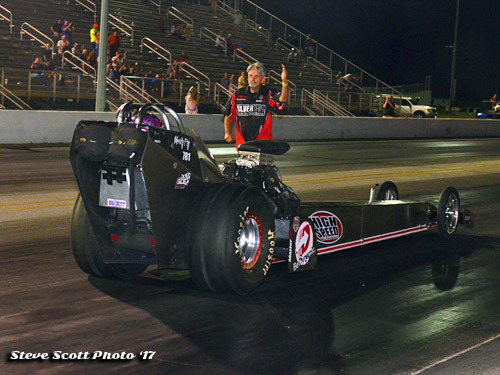 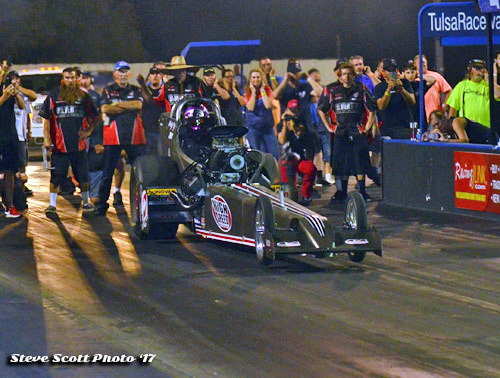 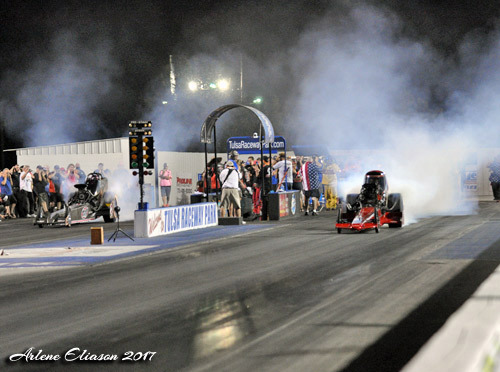 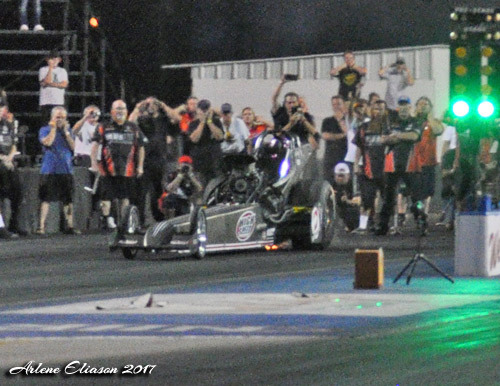 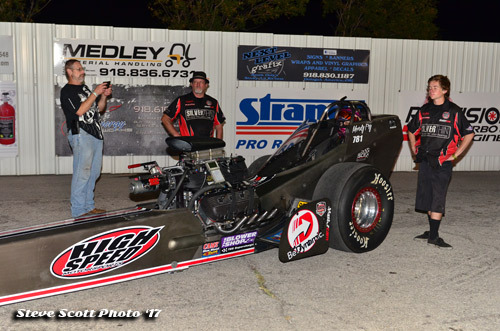 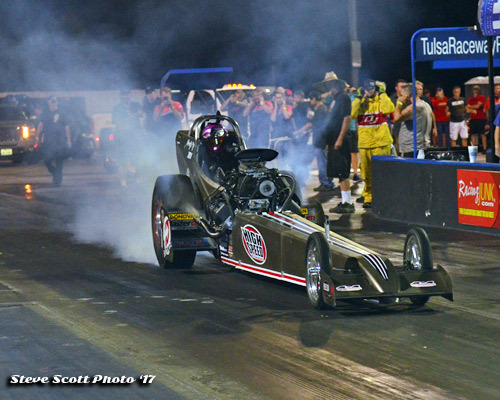 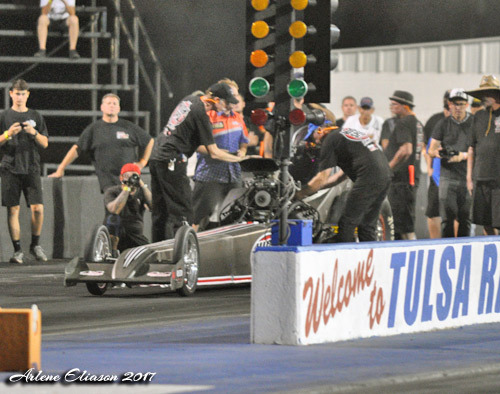 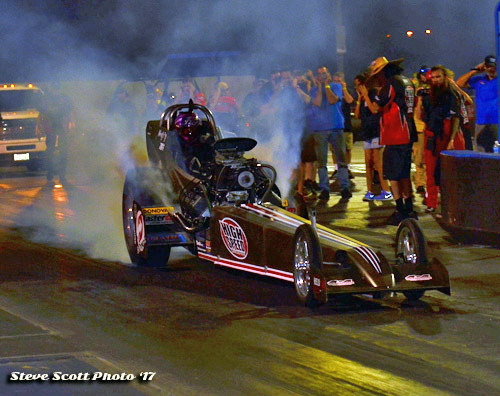 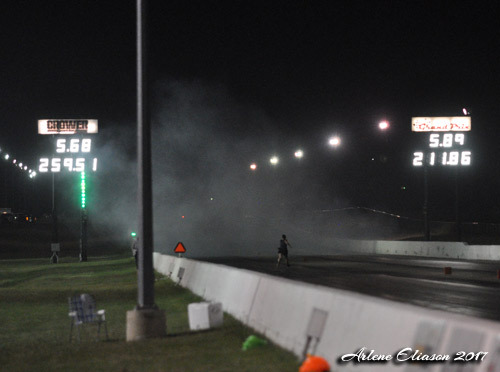 At the end of the day it was Mendy Fry who pushed herself and the High Speed Motorsports AA/Fuel dragster to a victory over Adam Sorokin in the Champion Speed Shop small block Chevrolet at the Nitro Nationals at Tulsa Raceway Park. 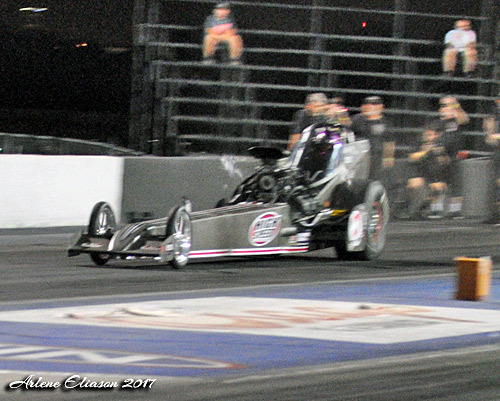 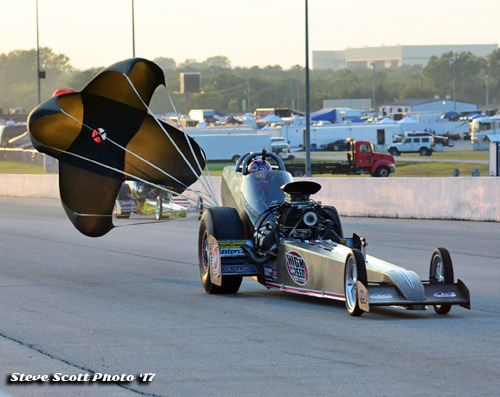 Sorokin got the holeshot on the hit, but Fry kept her foot in the High Speed Motorsports fueler and fought off a drift toward the center line with every bit of steering for a 5.62 ET at 258 MPH win over Sorokins 5.75 ET at 245 MPH runner-up. 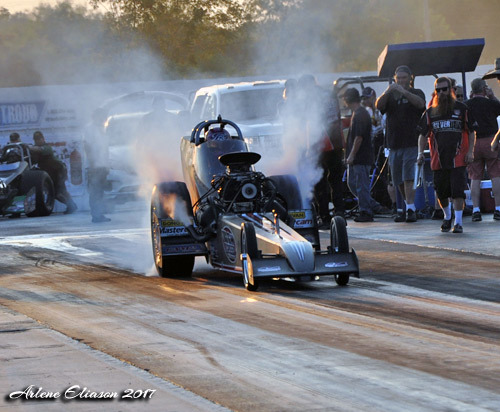 Rookie Tera Wendland Graves scored in Nostalgia Nitro Funny Car driving John Hale's One Bad Texan Mustang. 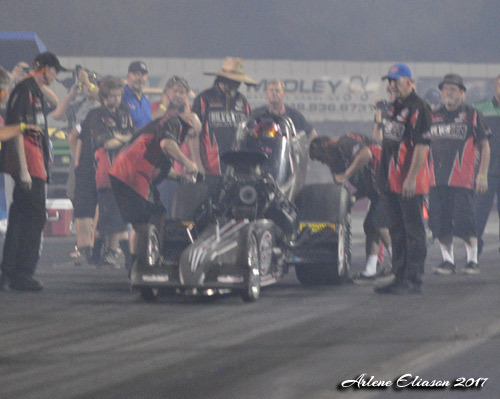 Graves ran consistent 5.80s to take home the Wally. 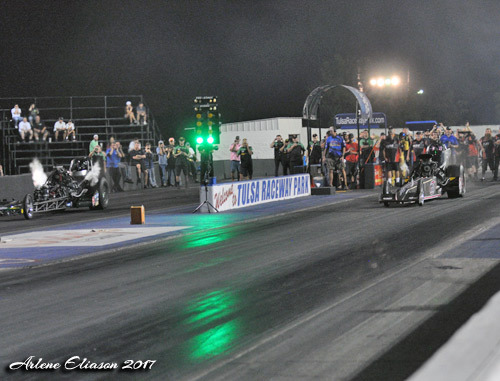 This was her first time in competition. 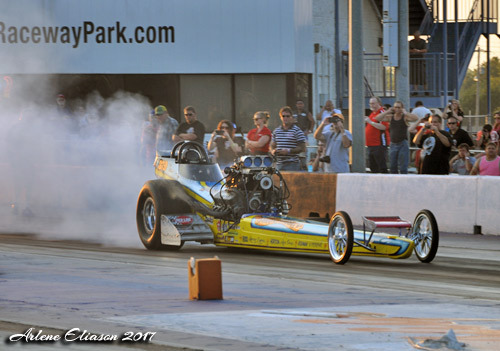 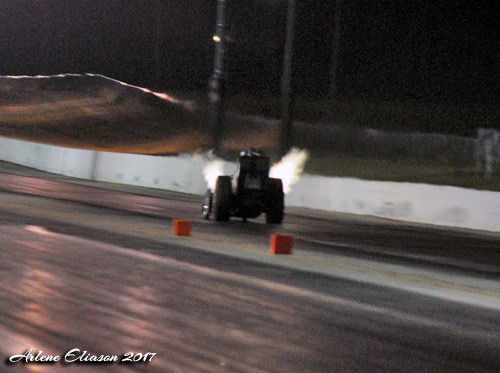 It was all I could to keep it off the centerline, but I didn't lift, said Fry. 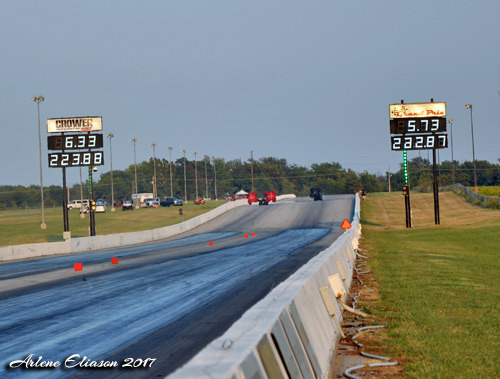 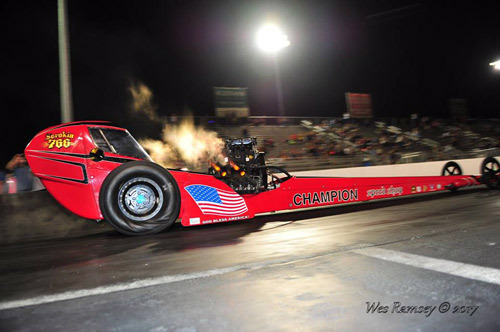 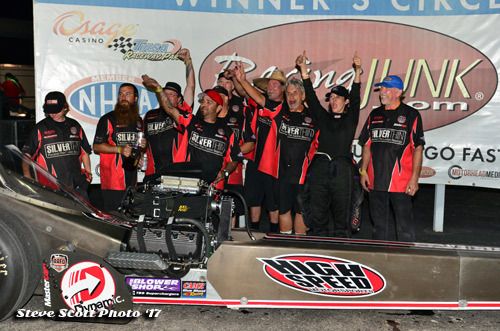 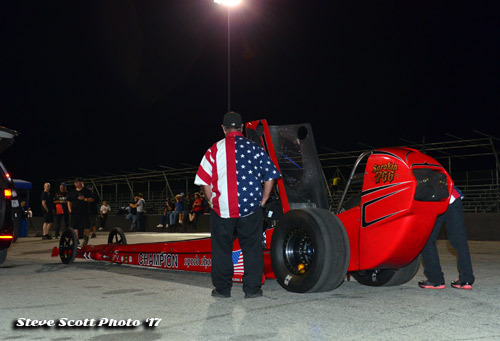 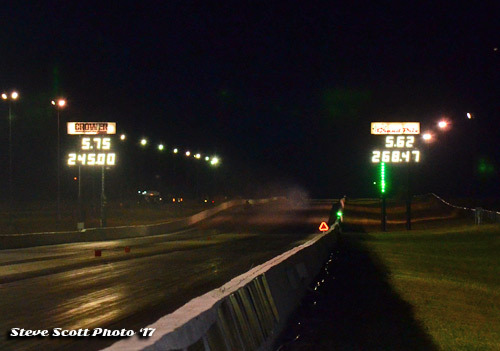 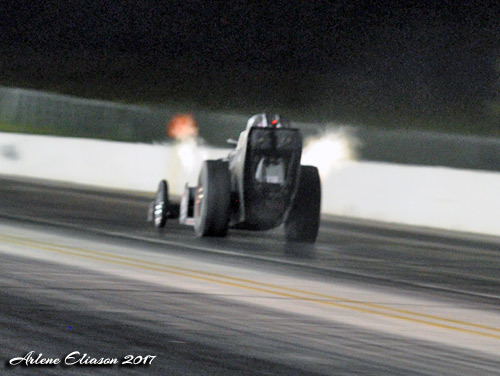 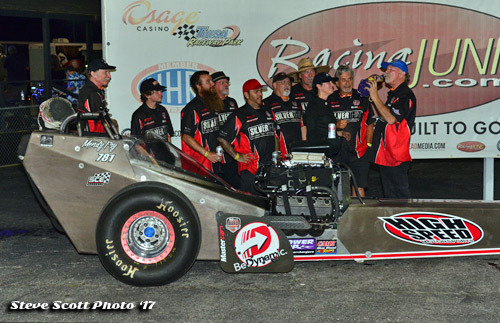 Driver Adam Sorokin said the Champion Speed Shop special pulled strongly almost to the stripe but Fry took the race with a .075-second margin of victory and about 26 feet. 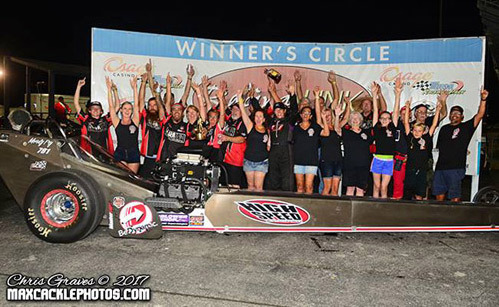 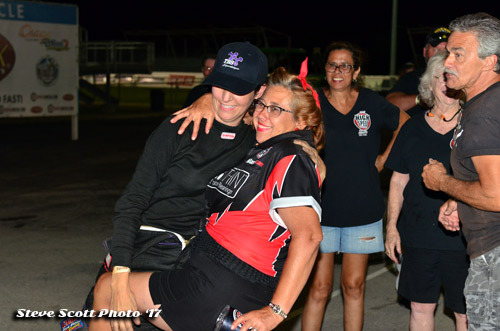 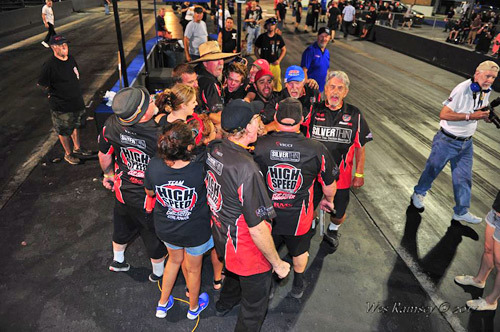 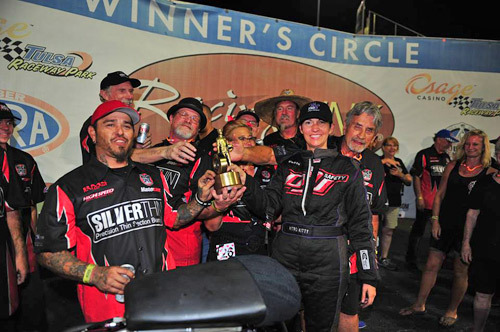 Mendy Fry joined driver Tera Graves in the Nitro Nationals Winners Circle and marked the first time two women won concurrent Top Fuel and Nostalgia Funny Car wins at a NHRA Hot Rod Heritage Series Championship drag race. 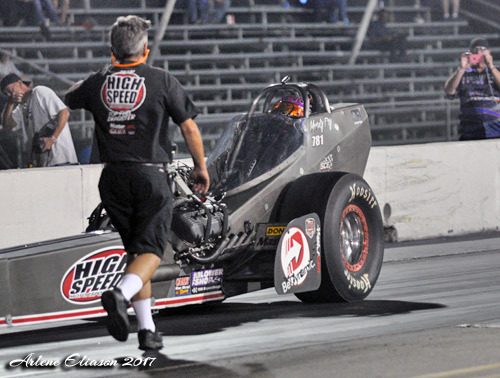 Fry clicked it a bit early to score low ET of the first session.. 5.87 at just 201.07. 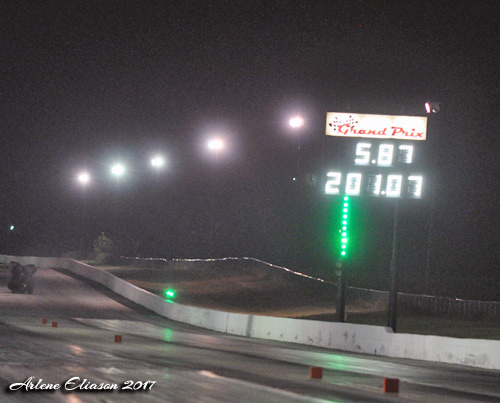 For the opening stanza Mendy Fry was paired with Tyler Hilton. 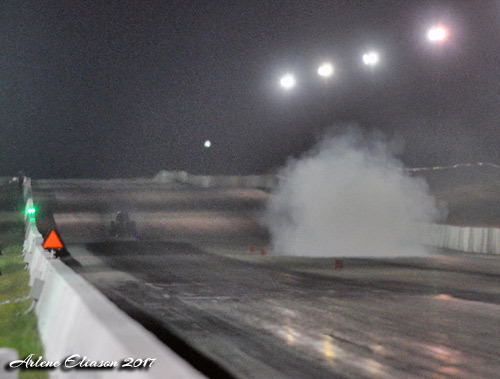 Fry left first and never looked back. 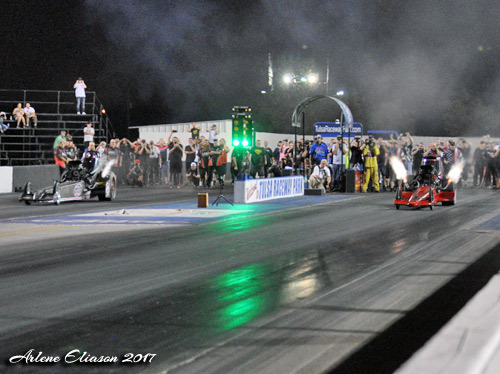 To determine who would go to the final it was Mendy Fry and Jim Murphy. 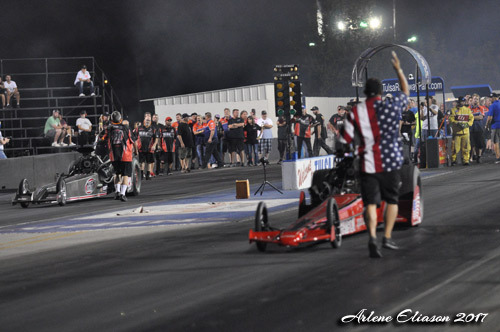 This match up had major points implications. 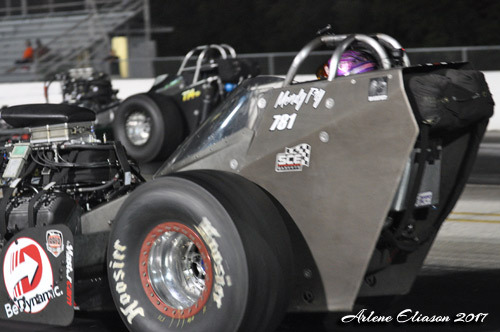 Murphy had 3 hundredths in the bank and the race was on. 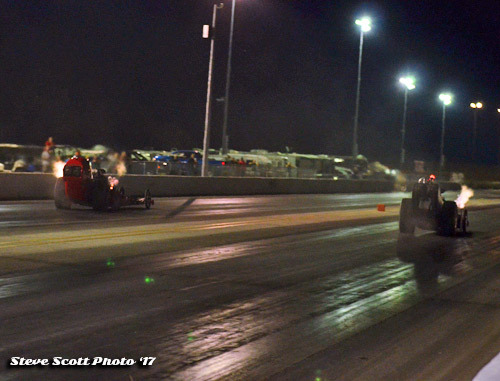 It was one hell of a drag race until Murphy's engine expired at the 1000' mark. 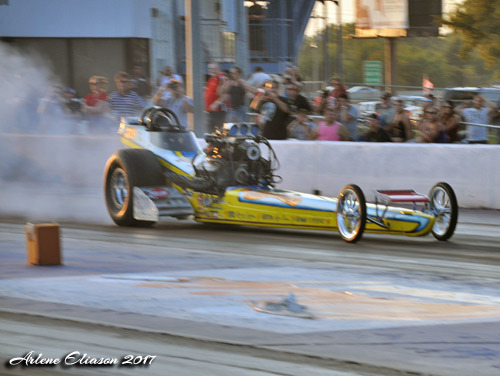 Fry took the win with a 5.687 at 259.51. 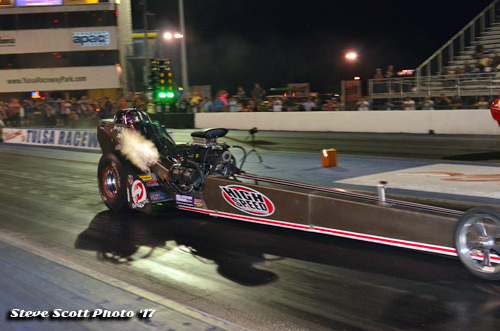 Murphy slowed to a 5.895 at 211.66. 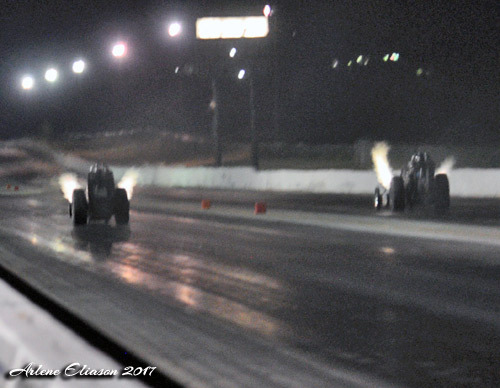 The final pitted the #2 and #3 cars in points; Mendy Fry and Adam Sorokin. 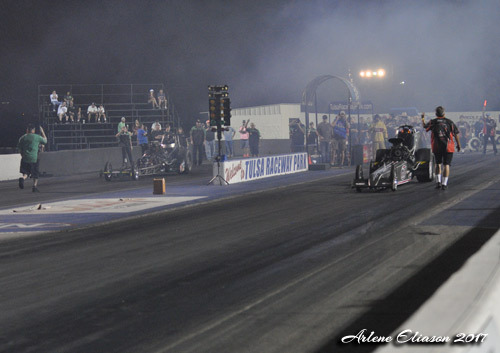 Sorokin did his job on the starting line with a nice advantage (.018 to a .067) leaving Fry to play catch up. 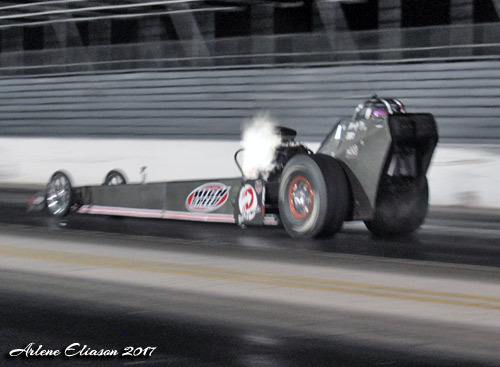 At the stripe it was Mendy Fry with low ET of the meet, 5.628 at 258.47. 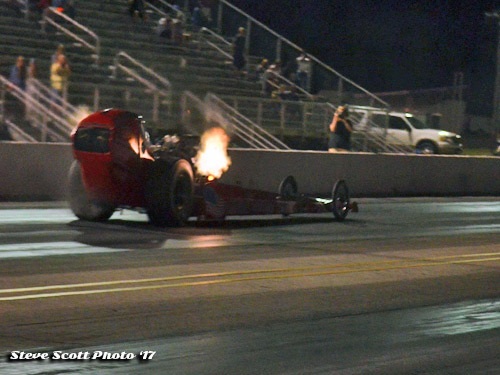 Sorokin's hole shot was not enough as he trailed with a nice 5.752 at 245.00. 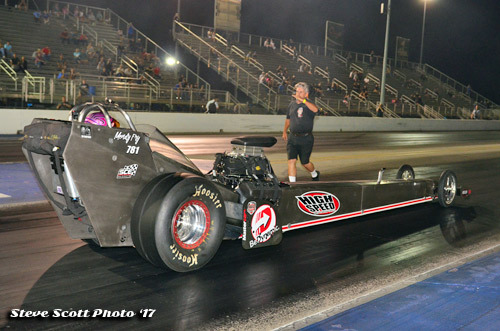 The win put Fry within 7 points of Murphy for the NTF crown that will play out at the CHRR in October. 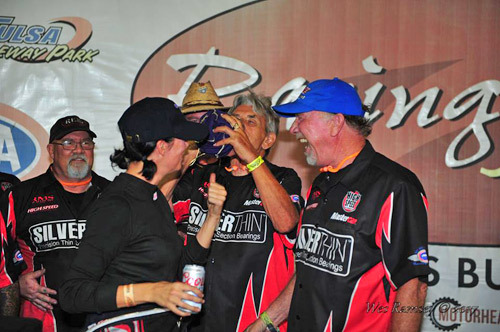 Mendy Fry, Tom Shelar and a couple of friends.